Salam Ramadhan. Yes now is fasting month. For people who love sleep, maybe you should minimize your favourite hobby. Actually, too much sleep can have a negative effect on our minds and bodies in much the same way that too little sleep. Fortunately, there are several things you can do to ensure that you get the proper amount of sleep each night and feel refreshed when you wake up in the morning. Here, Miss Khadijah will give direction on how to avoid getting too much sleep. Yeah, check it out! 1. Evaluate how much sleep you are getting each night. 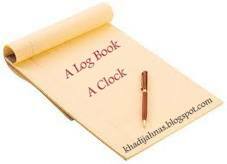 Create a log of your sleep pattern for 1 month by writing down the time you go to bed and the time you wake up each day. Record how you feel when you wake up, too. 2. Change your sleep patterns slowly. The best way to restore normal sleeping patterns is by sleeping a few minutes less each night rather than cutting out a few hours of sleep all of a sudden. 3. Think about sleep in a different way. Think of it as a means for recharging your body. By doing this, your body will be more likely to sleep less. 4. Wake up each morning with a plan that you can be excited about. If you have a reason to get out of bed, you'll be less likely to sleep longer than you should. 5. Exercise on a regular basis. Exercise energizes your body and makes it less tired throughout the day. Also, if you're feeling tired extra early, doing a few exercises will keep you awake longer. 6. Develop long-term goals and plans. Strive towards these goals each day to give you something to work towards. This will cause you to sleep less because you won't be as bored as you were before. Have a good sleep ya! betul2.. tido banyak2 memang tak elok.